Education Weblog: What is education and why do you need it? Education is a wide and vast subject. It means acquiring knowledge. You may hear that “Knowledge is Power”. Yes education gives knowledge and power. The knowledge helps you to acquire skills, habits, culture, and wealth and so on. Education changes the person who receives it. A normal man can be a master (Expert) through education. It changes the thoughts, feels, life styles, behavior, acts etc. One can acquire education from different means such as formal education from schools, colleges and technical institutions and informal education from newspaper and other medias, work sites, from friends, relatives and others and from many more sources. Through any sources it helps to increase knowledge and ability of the person who receives education. When you share your knowledge which you earn through education you can increase the knowledge and you will be a master in it. Why do you need education? All people from child to grown up need education. A child needs it to know how to read and write. This is the first step of formal education. But he learns many things even from his mother’s womb through the experience and feeling he gets through his mother. After birth he learns many things from the sounds, touches, caring etc. when he grows, he acquires more knowledge from his parents, siblings, relatives, and friends and from teachers. From preschool level he starts to learn formally. When he grow more he complete his school education and go for specialization through colleges, professional studies, research studies etc. Even after his class room education he learns from his work place, bosses and subordinates. In between he learns a lot from his life. Till his death he learns something. The technology, method and quality of education always improving and nobody can say that he learned enough. This is the rationale why education is changing into more and more necessary and it's currently become a necessity to everybody. Within the past 20 years more or less, Fathers and Mothers failed to see education to be vital for his or her kid as they believed that their kid just require information on some definite problems. If they still have a similar mentality, their kid can face it tough to form a living in today's world that has become terribly competitive. Even in lower education level, students are already competitive with one another to see who can get the very best grade in school. If these students are already this much competitive in class simply imagine how much competitive would they be once they pass on to more higher education and work afterwards. With the quality of education obtaining higher, an organization's demand for a person's level of education is also obtaining higher. A few years ago, a new graduate is in a position to use for any job they need with a high school certificate. Afterwards the expectation grew and the minimum demand was a degree certificate. Today, several students with degree level certificate are out of work unless they are holding certificates from prestigious universities. Imagine, if degree holders are missing out on jobs, what about those who are with a mere high school or diploma certificate? The extent of ordinary and expectation of education has grown up to the stage where one cannot afford with inadequate education. This is why you need good and timely level of education. 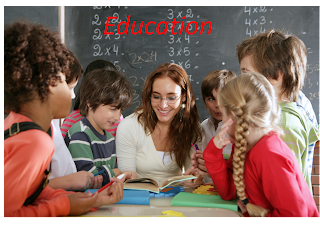 Here in this blog we wish to inform our readers more about education and related matters. One can go through these pages to know the developments and changing expectations and attitudes in the area of education.